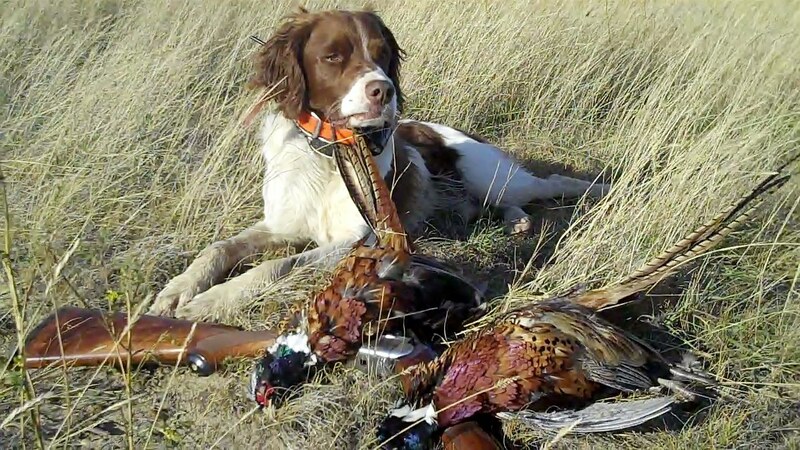 A Bird Hunter's Thoughts: The Magic Skunk Recipe! If you've put any time at all hunting the plains, you've probably been skunked, or known of someone who has. Personally, my dogs have been skunked several times, especially one boy, my Ace dog. He was big running and seem curious about skunks. About the third time he got nailed, one Montana hunt, I washed him with whatever I could find in the store, and, of course, it had no effect. I loaded him in the Jones trailer and headed out for the second destination- Wisconsin. 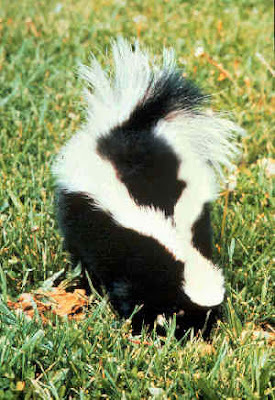 When I arrived, which was no secret since the smell arrived 10 minutes ahead of me, a friend of mine told me about a scientific approach to eliminating the skunk smell. He mixed it up in a gallon jug, told me what to do, and, voila!, skunk odor gone! In fact, I put him in the front seat after that. • 1 quart (or liter) of 3% Hydrogen Peroxide, H2O2. Use fresh (unopened) hydrogen peroxide (H2O2). Hydrogen peroxide eventually turns into water (H2O). • Bathe the dog outside or, if it's too dark or cold, in the bathroom with the door closed and window opened. • Combine the ingredients in an open container (do not store in a sealed bottle--it will explode). • Using gloves, wash your dog with lukewarm water and the mixture while the mixture is bubbling. Work the mixture well into the fur. • Be sure to concentrate on the area that was sprayed. • Let the mixture stand for 10 minutes or so before rinsing off. • Rinse the dog with lukewarm tap water. Don't wash the mixture into your dog's eyes (use a washcloth to cover the eyes if you're rinsing the head). • After bathing, check your dog's eyes. If they are red and watering, your dog may have taken a direct hit in the face. Skunk spray won't blind the dog, but it's very painful. Contact a vet. Forget what you have heard about tomato juice--it doesn't work. Skunk spray is mainly composed of low molecular weight thiol compounds. ("Thiols" are compounds with the "-SH radical" attached to a carbon atom.) In industrial applications, alkaline hydrogen peroxide (H2O2) is used for scrubbing similar compounds from waste gas streams. Hydrogen peroxide and baking soda, when combined, become a "chemical engine" for churning out oxygen. That's why it has to be used immediately after mixing. The soap breaks up the oils in the skunk spray, allowing the other ingredients to do their work. • Chemical and Engineering News, American Chemical Society, 18 October 1994. The formula is in a CNE report. • "Chemist has the Power to Tame Skunk's Spray", Chicago Tribune, November 25, 1994. Article about Paul Krebaum, the inventor of the deodorizing formula mentioned above in CNE.